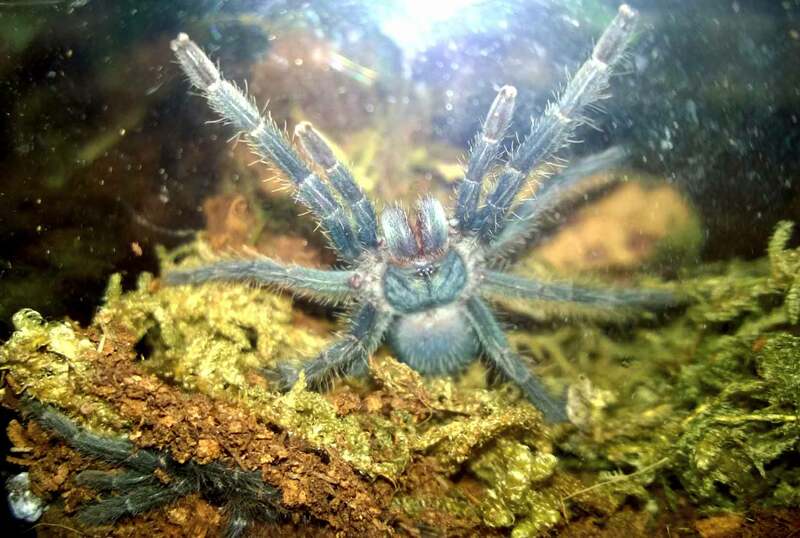 Hiya Tom, do you remember how long your P cautus slings were in pre-molt when this size? Mine sealed off its cork hide and stopped eating around 3+ weeks ago. It dug a big cavern all the way to the bottom of its enclosure so I only see it from below really. Thanks. Hello! I’ve found at this size they can definitely take a few weeks between premolt and actually molting. I had Phormictopus sp. south hispaniola slings that would bury themselves during premolt and take quite a while to reemerge. One was buried for close to 2 months at one point before it finally reappeared much larger and quite hungry. Hope that helps! Hey Tom, do you happen to know of a good source for Phormictopus Ts? I just checked my list of vendors I have bookmarked and was only able to find cancerides. I really want a purple one! Are all the not-cancerides species hard to find? Hi, Teresa! Man, NO one seems to have anything but cancerides right now. UGH. I’ll keep a lookout for you! Thanks for replying! I actually found some greens and atrichomatus on my fave site Palp Friction! Was tempted to get like ALL of them but I just got my very first Ts the week after Thanksgiving and I already have 10 slings. >_< My favorite is my 1/4" Euathlus sp red–I didn't even have to unwrap it and coax it into its enclosure, it just walked right out of the paper towel tube on its own volition! So cute.